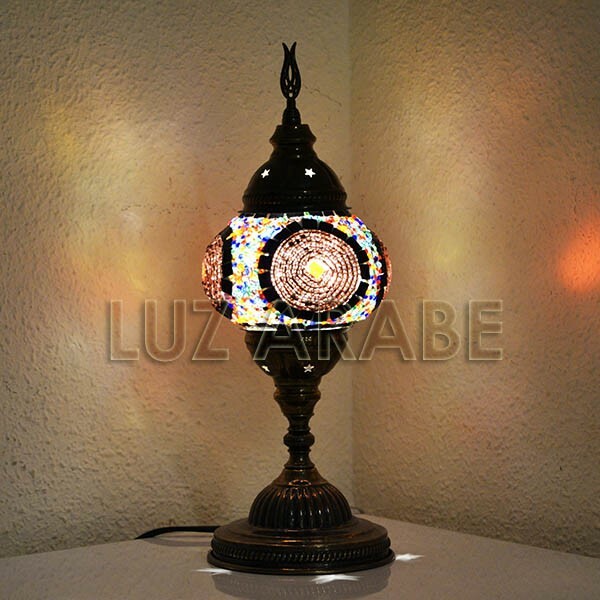 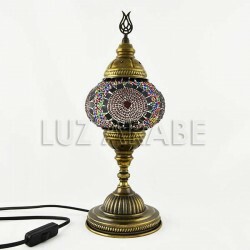 Turkish lamp of bronzed metal and sphere glass, inlaid with mosaic-shaped purple and black crystals. 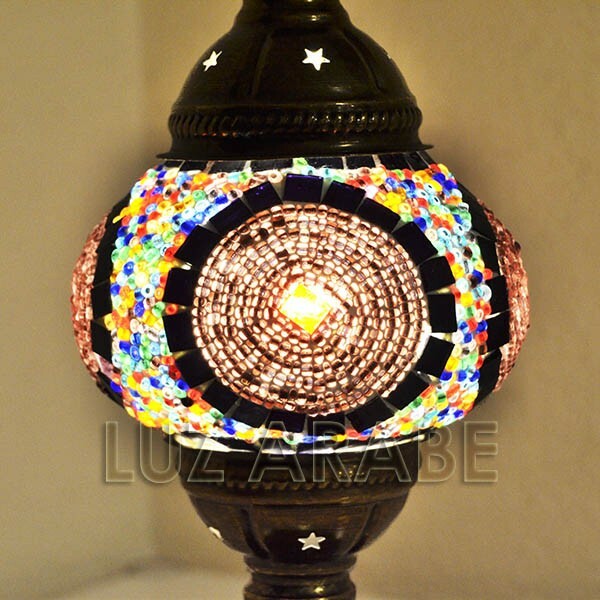 The lamp is dominated by its color and its unique handmade drawings. 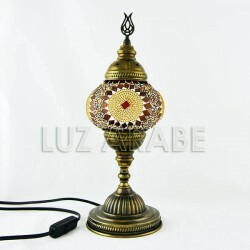 It is perfect at home and office, to give a special effect.